Did you know that Nasa tested, and proved, that some indoor plants can absorb radiation? Plants are extremely powerful at providing a whole bunch of health benefits, and make your house look great while they’re doing it! My wife and I purchased our first home about 5 years ago, and we’ve been slowly adding different plants around it ever since. Almost every time we get a new plant for our home, we do it because of a proven or believed health benefit. It has made our home feel like a health haven. Even though it might be slightly placebo, we certainly feel better surrounded by plants that are detoxifying the air and boosting our immune systems. Some plants also are believed to help reduce and absorb harmful radiation, so I’m going to give you the five plants I think are best at doing just that. Even better, some of the plants I talk about below can be picked up on Amazon! But first, let’s talk a bit about what makes having more plants in the home so great. NASA has plants on the International space station because they are so efficient at purifying air and improving air quality. Not only do they take carbon dioxide out of the air and turn it into fresh oxygen, many houseplants also are very powerful at removing toxins from the air. NASA has done many massive studies on house plants and their various benefits. The researchers at Nasa recommend at least one plant for every 100 square feet in your home. So if you have a 2000 square foot home, you should shoot to have at least 20 houseplants of different varieties. The nice thing about almost any houseplant is that many are very easy to take care of. My wife and I have quite a few houseplants, and lately, we’ve been getting more herbs that we can grow indoors. Occasionally my wife can just pull a few leaves or a sprig off of one of her herbs and use it to season a meal we’re making. This is as local as produce gets, and you can guarantee it’s quality and that it’s organic. Believe it or not, you can now even get tiny versions of fruit trees, like apple, pineapple, pear, banana, fig and lots more to grow fruit right inside your house. Although be wary, some of these fruit trees take much more care than many other houseplants or herbs. Having living things around you is extremely good for the soul. Filling a home with different varieties of plants have been shown over and over to dramatically improve mood and quality of life. Plants also give off all sorts of amazing aromas, and the scents can go a long way in improving the feel of your home. My wife and I have plants in every room of our house, and we’re constantly rearranging them to find the best places for each plant. 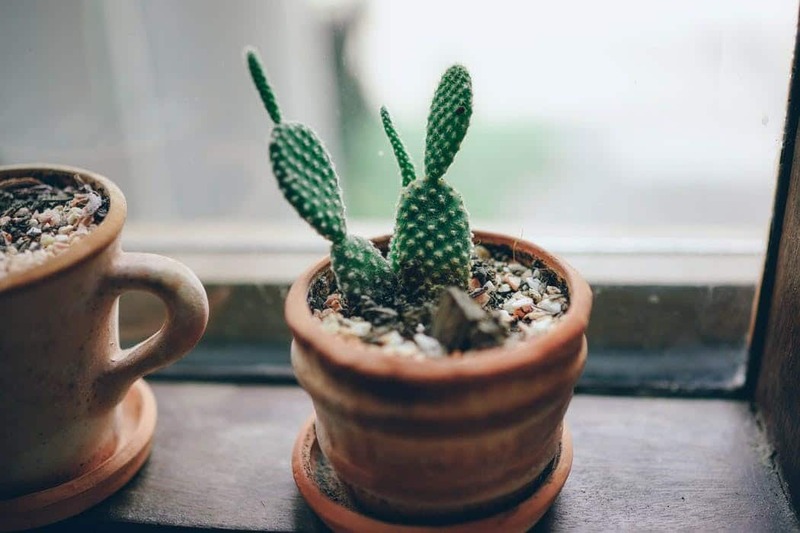 Having a small cactus on your desk or a palm in the corner of your living room will brighten the energy of any home. Ok, now let’s talk about a few of my favorite plants that are beneficial at absorbing EMF radiation. When NASA completed their massive study on house plants and their various benefits, one plant that made it out with quite a reputation is the cactus. NASA found that the cactus was quite efficient at absorbing EMF radiation. Since EMF radiation travels in a straight line, for the most part, to be most effective you’d have to place the plant directly between you and your computer, or whatever device nearby is emitting EMF radiation. However, having cactus around your computer can be very powerful at absorbing ambient radiation bouncing around your office or bedroom, as well as helping absorb radiation coming from other sources or nearby cell towers. You can even pick up a cute little cactus collection that would be perfect for a home or office on Amazon. Check out my guide on 11 Ways to Reduce EMF Radiation for more tips to protect you from your computer! The Betal Leaf plant is really interesting when it comes to reducing radiation exposure because it has actually been studied. Researchers at the Department of biochemistry at the Graduate Institute of Basic Medical Sciences, in Kolkata, India studied the extract of the betel leaf plant. They found that “The extract effectively … prevented radiation-induced DNA strand breaks in a concentration-dependent manner.” Since the extract was proven to be able to protect DNA from radiation in certain conditions, it is also believed to be a highly effective plant at absorbing ambient radiation in your home or office. Although most commonly known as the spider plant, or airplane plant, Chlorophytumcomosum is a fairly common type of succulent. The spider plant has been shown to have the ability to absorb a large amount of pollution, even cleaning out various harmful gasses such as formic acid and Aldehyde. Because of the spider plants amazing abilities at cleaning out pollution, it is also believed to be effective at absorbing forms of radiation in the home. Scientists have found that the Sanseveira can harmlessly absorb over 100 different types of poison. 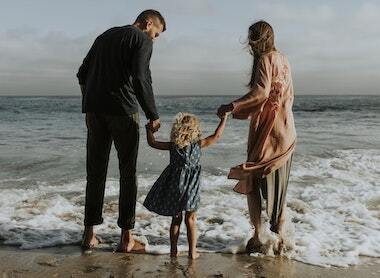 They have also discovered that the sansevieria plant is an anti-pollutant, and can on occasion be used as an antidote to certain forms of radiation. The stone lotus flower has all kinds of benefits for air purifying and is extremely convenient because it is the perfect size for the top of your desk. Many people also believe that the stone lotus flower is highly effective at absorbing some forms of radiation from the air. The stone lotus flower is a common essential oil because the health benefits of the plant are so powerful. 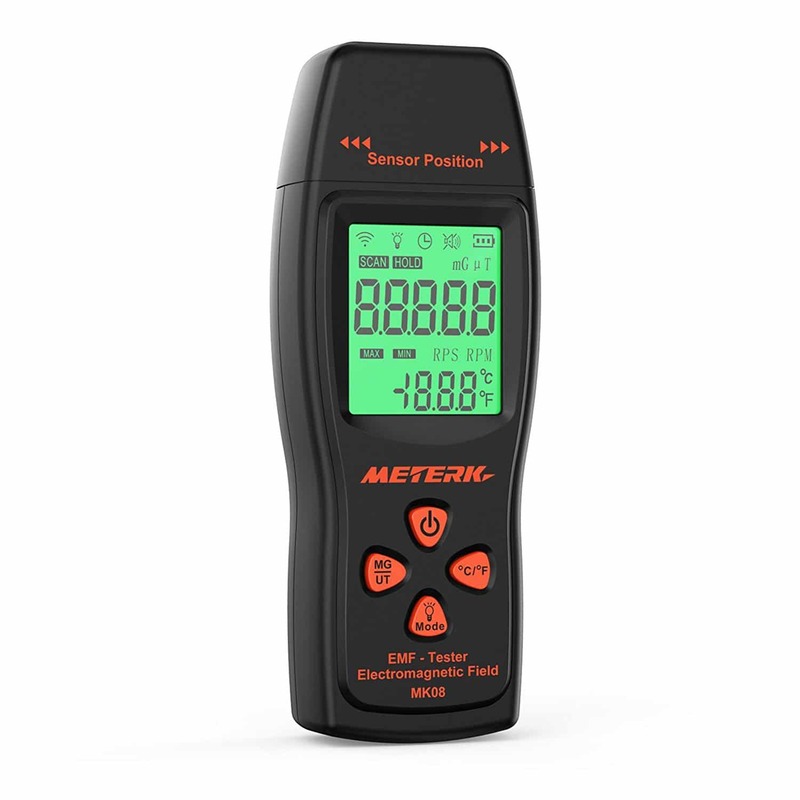 The next thing I would do is consider getting a quality EMF meter, as this is the absolute best tool to understand how much, and what kind of, EMF radiation is in your home. I really love and recommend the new TriField TF2 (read my review). There are so many more to list, so if you’re still interested, check out some of the articles I listed above. 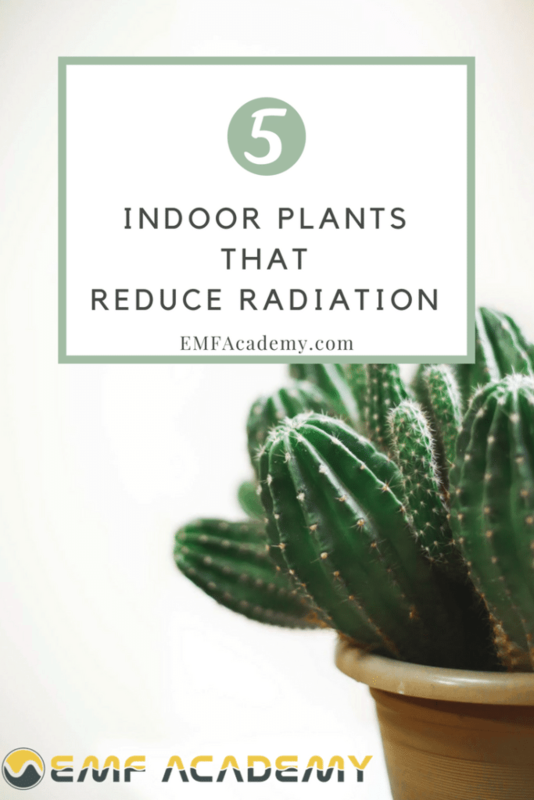 I hope you enjoyed my list 5 Indoor Plants That Absorb Radiation. Although not all of these plants have been completely proven to absorb radiation exposure, they all have amazing health benefits that have actually been proven. Regardless of the reason, getting a bunch more plants for your home or office can’t possibly be a mistake! Make your house a healthier home, and fill it with plants. If you enjoyed this article, consider sharing it with your friends and family!